The favorite heir of Suleiman the Magnificent died when she was twenty-two. Prince Mehmed returned victorious from a campaign in Hungary when he died in suspicious circumstances clarified. Suleiman mourned his loss for forty days and then ordered the great imperial architect, Mimar Sinan, to raise a worthy building his beloved son. 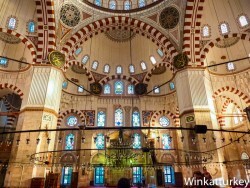 The great artist built for Şehzade, Prince in Turkish, his first masterpiece which is now located a few hundred meters Suleymaniye Mosque and Grand Bazaar in Istanbul. 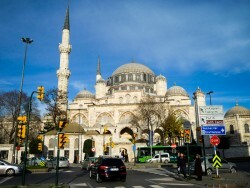 The Şehzade Mosque was the first imperial complex in Istanbul and had school, soup kitchen, caravan stop and Cemetery. Today we can visit their gardens in the historic area of ​​Istanbul and enjoy a moment of rest while contemplating the buildings constructed in 1544. 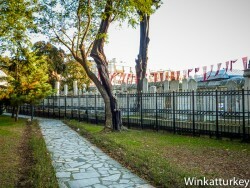 Notably two of the graves, both built by Mimar Sinan for Mehmed own and the Grand Vizier Rustem Pasha. In the latter find the magnificent Iznik tiles that were also used in the Mosque next to the Spice Bazaar. The Mosque of Sehzade is the first major dome built by Sinan, it reaches 37 meters high with a radius of 19 meters and is supported by four arches with four half-domes that, in turn rest on other auxiliary domes. This design was never used in Islamic architecture and Sinan not returned to usuarlo so the building is a truly unique piece. 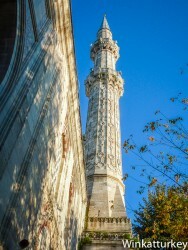 Mehmet Aga, one of the most famous disciples of Sinan, recovered to build this design Blue Mosque. 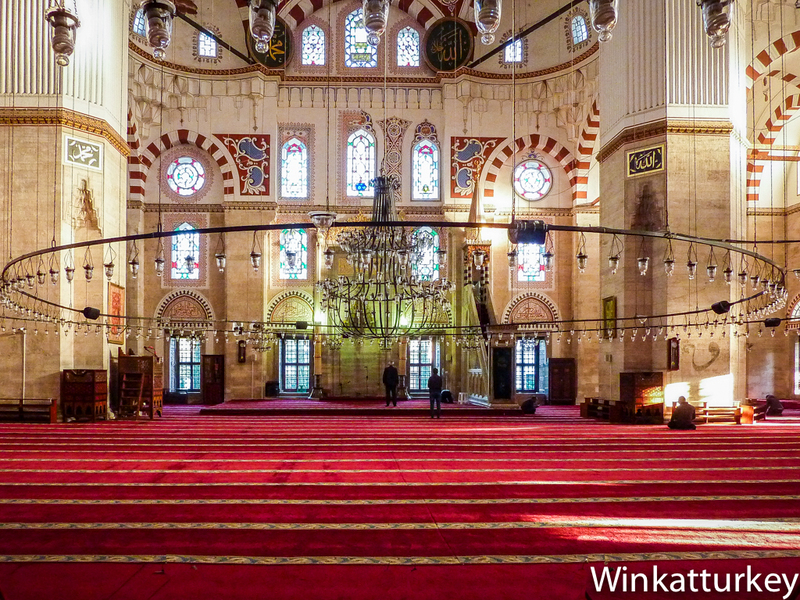 Outside there is a courtyard with a big porch and the mosque itself, the arches are decorated with pink and white marble. The ablution fountain was later built by Sultan Murad IV and its dome is equal to those covering the porch. The mosque has two minarets with two balconies each. You will note the rich decoration that covers them against the custom of their time. In fact, they represent Suleiman's tears for the death of his son and even today we can feel his sadness when we contemplate those crying minarets. Inside there is a large symmetric space, without side galleries. 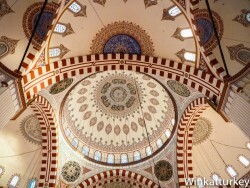 The great dome rests on 24 windows and vision with the four lateral semi-domes mimics the shape of a flower. The four supporting columns inside are less bulky than the blue mosque but certainly they break the continuity of the space and probably that was the reason why Sinan never used this design again. 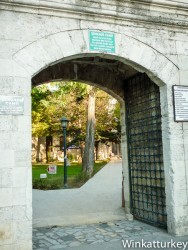 We must not leave Şehzade complex without visiting the graves of Prince Mehmed and Rustem Pasha. They are octagonal buildings covered by valuable Iznik pottery. The tiles of the Grand Vizier are similar to those of his famous mosque but the tomb of Şehzade are rare examples in yellow and green tones.